I know spring is just rolling in, but we’re already hype for summer afternoons, beach vibes, travel, and, most of all, that perfect summer wardrobe. So, get ready for some therapeutic shopping in preparation! 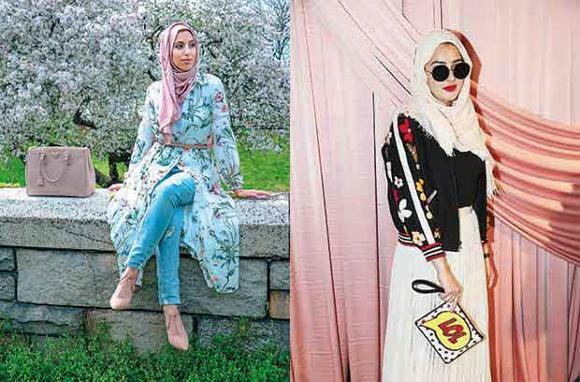 Stores are quickly stocking brand new summer patterns, styles and materials; pieces have their own style and flair, bright colors, radiant complements, and warm tones. What else could we possibly ask for? So, here’s a list of my favorite five staple trends that any summer wardrobe needs to have. Think of it as a foundation– these pieces are versatile and capable of being used with the rest of your pre-existing wardrobe easily. The best part about monochrome looks is how easily a single-color outfit can pop, even as a minimalist aesthetic; this look is anything but basic. The solid single color draws attention to accessory detail, whether that be a hijab, jewelry or handbag. An extra tip is finding a monochrome colour that contrasts beautifully with your skin tone, something that will definitely make you pop even more. This summer, abandon your comfort zone of neutral colors. Whites, blacks and grays are easy, but when the sun is out and the weather is on our side (finally), why not compliment the yellow tones of the sun by wearing something like red, pink, magenta, yellow and green? Tops like these are simple enough to pair with jeans or trousers, but also cute enough to wear to a date or social event. We saw gingham blazers, trousers, printed blouses and even hats throughout the fall and winter seasons. The trend will continue heavily into the summer by combining the print with some monochrome pieces [see trend #1]. The look is easy to buy, as it comes in a set almost anywhere you may choose to purchase it. Some of the best sets are offered at affordable stores like Zara and Banana Republic. Printed pants, like the ones above, come in variations of designs and colors. While some are more simple than others, it’s important to find ones with the right silhouette for your body shape. If you are curvier, pants that have a bell-bottom shape elongate your legs and complement your body shape. Taller, leaner individuals should try pants that have an extended inseam, it will fit the body shape better without swallowing their height or the rest of the look. Regardless of your body shape, there are a pair of printed pants that would look great on anyone. Time to put it all together! If you want something a bit more upscale, go for the satin, matching sets that are strongly in fashion right now. Not only are they incredibly comfortable and super easy to wear, they look oh-so-luxurious. The fabric flows with the individual and they’re loose; modeled after tunic tops. The design of the set allows your skin to breathe while looking fancy. Need I say more? Think of these trends as a foundation– these pieces are versatile and capable of being used with the rest of your pre-existing wardrobe easily. So happy shopping and happy pairing!